Ikebana or traditional Japanese flower arrangement. 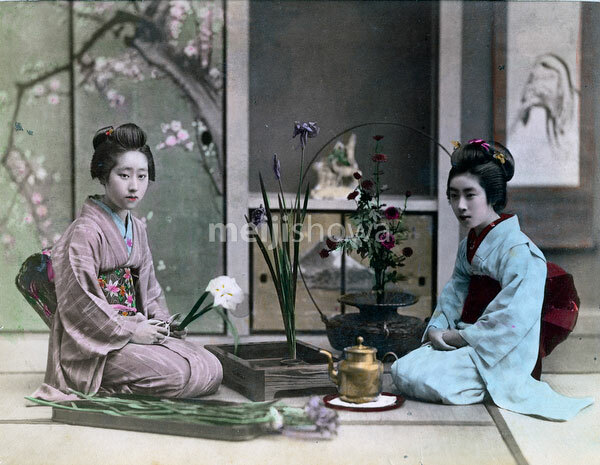 Two women in kimono are arranging flowers while being seated on tatami (rice mats). In the back shoji (paper sliding-door) decorated with a painting of flowers can be seen.